After hiking in Waimea Canyon, relax by the campfire at Camp Sloggett on Kauai. Gathering around a crackling campfire under the stars as you talk about the day's adventures is a cozy and relaxing close to a Hawaiian evening. While Hawaii does not allow bonfires in the technical sense of a large, open fire, the state does allow campfires in provided structures such as fire pits. Unfortunately, campgrounds that are both tourist-friendly and campfire-friendly are not as prolific as on the mainland. But don't give up on those s'mores just yet. On Oahu, between the surf town of Haliewa and sacred Kaena Point, Camp Mokuleia (campmokuleia.com) stretches across nearly a mile of beachfront property. Pitch a tent, snorkel and surf. Then after a glorious North Shore sunset, enjoy a bonfire in a good old-fashioned campfire pit. While the camp's website emphasizes its historic and present role as host to youth groups and adult retreats, individuals are welcome, too. Families from around the world reserve sites here, as do sports teams and other groups. Accommodations include tent cabins, lodge rooms, group cabins, a beach house and beachfront tent sites. Tent camping is $18 per individual -- not per site -- at this private, well-kept and secure campground. A ministry of the Episcopal Church, the camp hosts people of all faiths. Campers have access to flush toilets and warm showers. On the Hana Coast, Maui YMCA Camp Keanae (mauiymca.org) provides two big fire pits, one sheltered from the Hana rain. Choose from tent sites, cottages and dorms. From the campground's high perch on a grassy knoll, you have stunning views of Keanae Peninsula and the sunrise over the Pacific. Begin your day with a warmup in the fitness center and breakfast, and then explore the Hana Coast with its waterfall hikes and freshwater pools, or go swimming at a black sand beach. Two bathhouses include Hawaii campground rarities: hot showers, flush toilets, sinks and mirrors. The town of Hana is 18 miles south of Camp Keanae, but the drive there takes about 50 minutes on the twisting, winding Hana Highway. In the uplands of Kokee State Park on Kauai, Camp Sloggett (campingkauai.com) is a throwback with a big campfire ring that begs for a s'mores fest and rounds of "Kumbaya." The circa 1925 lodge and its grounds, surrounded by cedars, eucalyptus and other trees, once served as the Sloggett family's retreat and is now owned and operated by the YWCA. Stay in the lodge, bunkhouse or private cottage, or pitch a tent on the lawn. Tent camping or the bunkhouse, a hostel, each cost $15 per person, with discounts for children. 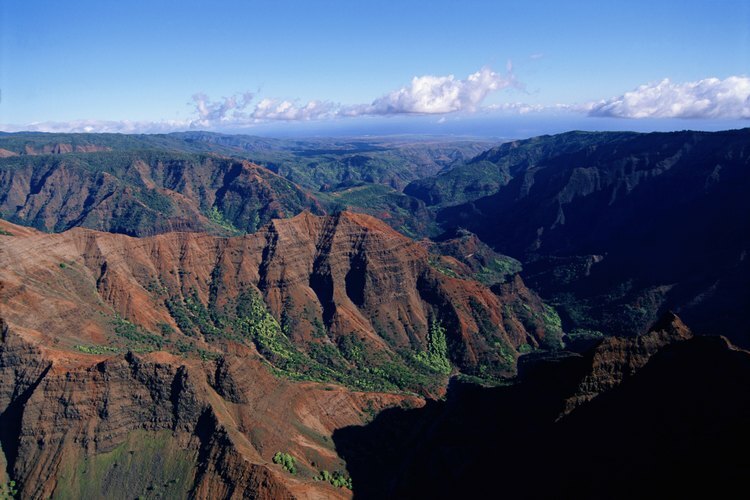 Also in the state park: Kokee Museum (kokee.org); Waimea Canyon -- known as the Grand Canyon of the Pacific -- for its formations and colors, not size; 45 miles of hiking trails; and views of the Na Pali Coast's Kalalau Valley. It's a short drive from Kauai's sunny west side beaches. Mosquitoes don't like the high elevation, but songbirds do. Bring summer wear, as well as warmer clothing for cool and misty evenings when the temperature drops to the 40s. The microclimates of Kokee State Park range from hot and arid at the bottom of Waimea Canyon to misty and cool forests. On Hawaii Island's sunbaked Kohala Coast, pitch a beachfront tent at Spencer Beach Park (hawaiicounty.ehawaii.gov), and after returning from the day's activities, build a fire with mesquite you collect off the ground or wood purchased at a nearby store. The wide sandy beach with its protected, usually calm water is popular with local families with young children. Snorkeling is best on the north end toward the mouth of the cove. To body board, drive three miles south to Hapuna State Beach, one of the best beaches in Hawaii. Your camping neighbors could be locals or from anywhere in the world; not all locals want to mingle with tourists, so follow their social cues. The campground includes shaded picnic areas, a life-guarded beach, enclosed showers, restrooms with flush toilets and a large, oceanfront pavilion with electricity. The trail leading south from Spencer takes you to more beaches, and the trail to the north takes you to the Puukohola Heiau Historic Site, the remains of a Hawaiian temple built by King Kamehameha the Great. A few words of caution: Because at night, and sometimes during the day, the wind whips through here, secure your tent well. As with all tourist destinations, watch your valuables. Waimea, also called Kamuela, home to Parker Ranch, supermarkets, shops and restaurants, is about a 15-minute drive inland and up the hill. Kailua, Kona, is about a 50-minute drive south of Spencer Beach Park.